Our landing craft Maple Grove is very well known throughout the region. She has been providing safe, reliable and efficient service for decades. A hot cup of coffee on the trip across has been enjoyed by thousands of our customers over the years. 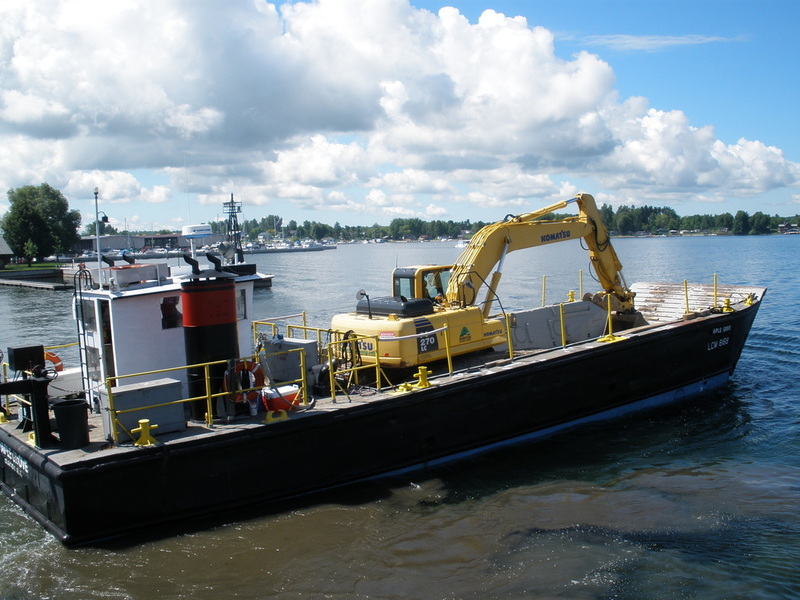 60 ton capacity landing craft offering service to all of the St Lawrence River and Lake Ontario. If it can be driven, pushed, pulled, towed or lifted, we can move it. We are Coast Guard inspected, provide USCG licensed Masters, and are fully insured. Available 24/7 - call 315/686.9805 or 315/777.6059. For local contractors, utilities, government agencies and island property owners, Maple Grove is the boat that gets it done.